SINGAPORE COMICS & COLLECTIBLES: AVENGERS #1 (2012) Marvel Now! 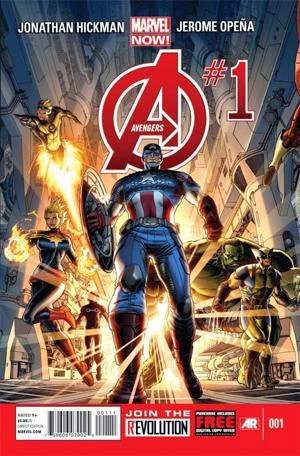 AVENGERS #1 (2012) Marvel Now! • PLOT SUMMARY: The Garden: Part 1 of 3 - The greatest heroes in comics together on one unbeatable team! Now shipping twice a month, the Avengers "go large," expanding their roster and their sphere of influence to a global and even interplanetary level. When Captain America puts out his call - who will answer? Big threats, big ideas, big idealism - these are the Avengers NOW! (W) Jonathan Hickman (A) Jerome Opena (C) Dustin Weaver.